Happy Sunday! This week’s Sunday Sampler consists of textures from two botanical gardens we visited in NY during Thanksgiving week. The “cracked paint” texture was on a birdhouse inside Lamberton Conservatory at Highland Park in Rochester, and the “Cracked Circle” of wood and “Rippled Design” – which is a plant – are from the Buffalo & Erie County Botanical Gardens in Buffalo. You may already know that we have a Facebook group called “Textures: Turn Ho-Hum into a Work of Art”. We are inviting members to digitally share their holidays cards (you do not need to have used textures on these). If you would like to share your card, feel free to join the group and share! It is also an inspiring group for beautiful texture work. My next Topaz Webinar will be Tuesday, January 8th at 5:00 Eastern time! It’s always fun working with Topaz products and sharing techniques. 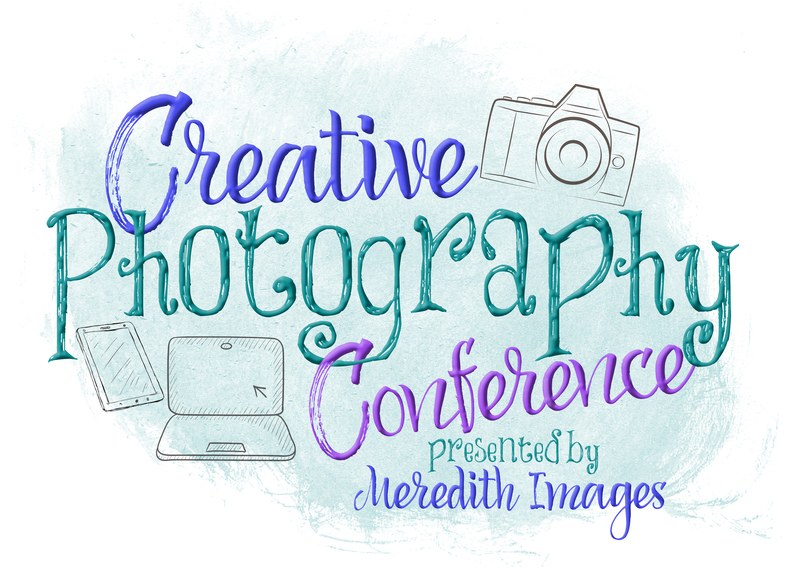 If there is something you’d like to see me do in the webinar, feel free to email me at Hazel@MeredithImages.com. I will see what I can do to include suggestions in my projects. Q: How did she unlock the ratio? A: In Studio, you can add an image as a separate “layer”. In the right panel, click on “Image” – that will open the Image Layer dialogue box shown below. If you do not want to keep the original proportion of the layer, click on “No” next to Lock Aspect Ratio. This will let you stretch or shrink the image as needed. This comes in handy if you are doing compositing as I was in the last webinar. 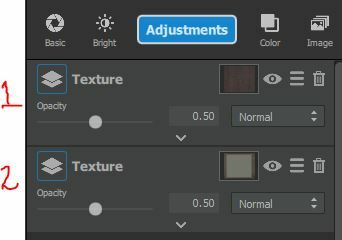 A: You can add your own textures (ones that you’ve created or ones that you purchase or download) into the Textures panel of Studio (which also adds them to Texture Effects if you have that plug-in). You need to have an image open in Studio, then choose “Texture” under Adjustments (this is one of the Pro Adjustments). Once the Texture layer is open, click on the icon next to “Category” (see below). That will take you to the Texture Manager (below) where you can 1) name a folder for your new textures, then 2) import them. Q: Do you ever get confused about when to stop? A: Great question! It’s truly a matter of personal preference and if you like the image at a particular stage, then you’re done! I like to start playing with effects – sometimes I have a pre-conceived idea in my head and sometimes not – and start playing with Adjustments and presets. I very often apply more than one preset — I’ll be showing you some of that in the next webinar! Some finds from this week! PhotographyPla.net – If you do not already get their newsletters, sign up and get a Free Photography Bundle that includes PS actions, LR presets, photo overlays and print templates. They also have a set of Winter actions available. From ProBlogDesign, find 40 Extraordinary Photoshop Text Effects. Join Me for a Webinar TONIGHT! TONIGHT is my webinar with the guys at LayerCake, makers of Studio Magic for a webinar showcasing their new “Epic Location Sets”! This is a set of over 1200 backgrounds divided into 7 categories: Africa on Location; America on Location – Route 66; Scenic America; Wild West; Doorways to the World; Scenic Europe; and Urban Chic. Take your subject and place them into a location – no backdrops or studio set ups needed! Check the webpage for some great examples – HERE! And register for the webinar on Oct. 18th at 6 p.m. Eastern Time. If you can’t watch live, sign up anyway, get some freebies and get a link to the recording after the webinar ends. Now these may have been created with portrait photographers in mind, but you know I like to be different! I’m not a portrait or wedding photographer, but I can still use these great backdrops for other subjects. I photographed this car with a busy background, but put it into one of the Epic Locations, used StudioMagic for a little more creativity, and created a whole new scene! Also watch to see how I use a background as a creative overlay! Welcome to New England weather – 80 degrees and humid last week – 40’s this morning and the heat came on! I love Fall – just hope it lasts a little while! This week’s SUNDAY SAMPLER consists of some “mossy” tree bark. Lots of texture in these! Enjoy! …this coming Thursday is my webinar with the guys at LayerCake, makers of Studio Magic for a webinar showcasing their new “Epic Location Sets”! This is a set of over 1200 backgrounds divided into 7 categories: Africa on Location; America on Location – Route 66; Scenic America; Wild West; Doorways to the World; Scenic Europe; and Urban Chic. And speaking of webinars, my next TOPAZ webinar will be Tuesday, October 30th at 5:00 pm Eastern time. It was a blast to meet Heath, Rose, Joe, and the rest of the crew at Topaz when I was in Texas last month! Sign up will be open soon on the Topaz website at: http://blog.topazlabs.com/webinars/. They usually start sign ups the week before the webinar. Watch for some Halloween-themed creative editing! Birthday Deals over at Design Cuts! Design Cuts is 5 years old!! One of the first companies to do “bundles” of products, they are still one of the best and biggest! Expiring on 10/15, they are offering 100 products for just $5 each! They consists of Fonts, Graphics (including textures), Add-Ons, Templates and more! Click HERE to head to the Graphics page – to get to the others, just click the tabs at the top! Happy October! Finally starting to feel a bit like Fall here in CT – though it is supposed to get back to 80 this week! Welcome to New England! This week’s Sunday Sampler contains some rocks! I love the grittiness of rock textures – from subtle to grungy! Remember to play around with blending modes and opacity to get it just how you want it! Enjoy! I’m teaming up with Alan & Gavin at LayerCake, makers of Studio Magic for a webinar showcasing their new “Epic Location Sets”! This is a set of over 1200 backgrounds divided into 7 categories: Africa on Location; America on Location – Route 66; Scenic America; Wild West; Doorways to the World; Scenic Europe; and Urban Chic. Now these may have been created with portrait photographers in mind, you know I like to be different! I’m not a portrait or wedding photographer, but I can still use these great backdrops for other subjects. Here are a few of mine with a car and train I photographed – I then put them into one of the Epic Locations, used StudioMagic for a little more creativity, and created a whole new scene! Train taken in Pennsylvania during the day! There is no end to the creativity with these backdrops! Join us for the webinar and find out how you can create your own Epic images! You can download a free trial – purchase is $99.99. Use my link HERE and then the code MeredithImages at checkout to save 15%. And…stay tuned for an update to another Topaz product soon! GREAT BUNDLE DEALS GOING ON AT SEVERAL SITES! My friends at Design Cuts are 5 years old!! One of the first companies to do “bundles” of products, they are still one of the best and biggest! For 2 weeks only (expires 10/15), they are offering 100 products for just $5 each! They consists of Fonts, Graphics (including textures), Add-Ons, Templates and more! Click HERE to head to the Graphics page – to get to the others, just click the tabs at the top! And over at Inky Deals, they have a bundle of “Amazing Artistic PhotoFX” for just $29. Check it out HERE! The Textured Font Bundle: This is Vol. 3 of the Textured Fonts Collection – 29 Fonts for just $29. Comes with full commercial use license. Expires 10/15/18. CLICK HERE TO VISIT THE WEBSITE AND GRAB THESE DEALS! Whew….lots of info this week! Enjoy!